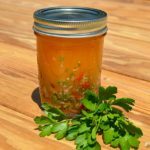 This homemade Italian salad dressing tastes great on leafy salad, adds a zesty zing to pasta salad, and is a delicious marinade for grilled meats. Skip the store bought bottles and shake up your own Italian salad dressing using fresh ingredients. Growing up in an Italian household meant that there was only one salad dressing on the dinner table. It was a simple mix of oil, vinegar, various Italian herbs, and pepper. The original formula is long gone but after experimenting over the years, I have nailed down a basic recipe that tastes similar, using fresh ingredients. Italian dressing is a vinaigrette-type of salad dressing. 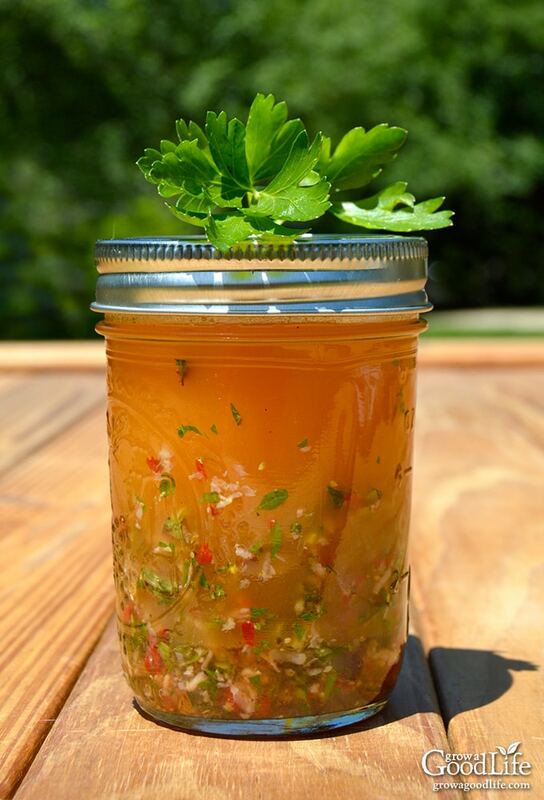 The key foundation for basic vinaigrette is three parts oil, one part acid, plus seasonings. Oils: Oils can range from extra-virgin olive, avocado, walnut, hazelnut oil, other nut oils, or even warmed rendered bacon fat. Acids: The most common acids used in salad dressings are vinegars such as apple cider, balsamic, champagne, red wine, and white wine. Additionally, juices from citrus fruits are also an acid that works very well in salad dressings. 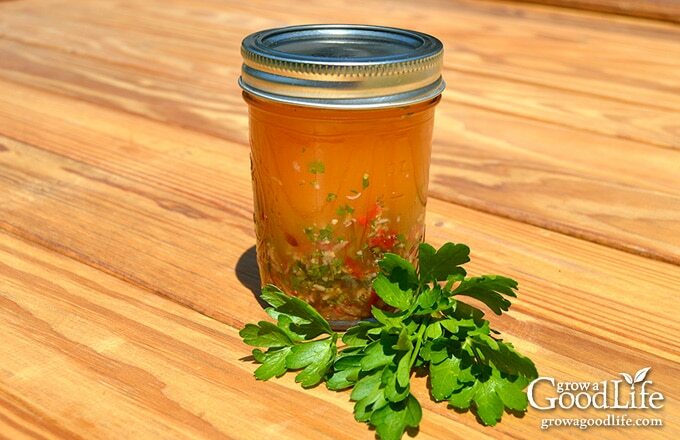 Use citrus juice in combination with vinegar to enhance the flavor of your dressing. Also consider including the zest of the citrus fruit for extra flavor. Seasoning: Your choices for seasonings are endless from the basic salt and pepper to additional flavors such as shallots, garlic, herbs, red pepper flakes, Dijon mustard, and honey. What Makes Homemade Italian Salad Dressing so Good? Fresh and healthy ingredients help this homemade Italian salad dressing stand heads and shoulders above the bottled grocery store counterparts in flavor. When you make your own, you can use healthier oils and quality ingredients. Since you make and consume it fresh, there is no need for chemical additives to extend the shelf life. Flavorful Vinegars: A combination of red and white wine vinegars provides a good punch of tangy flavor. 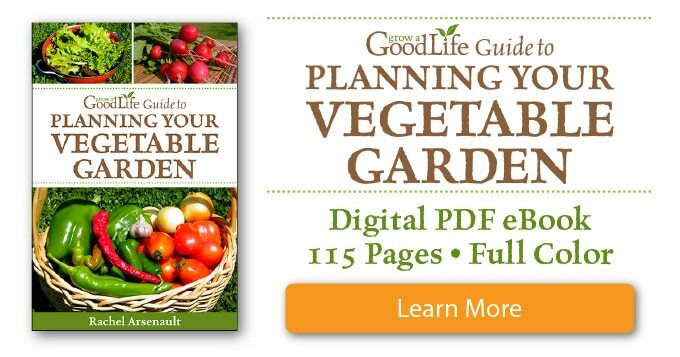 Vegetables: Fresh garlic, shallots, and minced red bell pepper add a zesty kick. Dijon Mustard: Dijon mustard not only adds tang to the salad dressing, it acts as an emulsifier to keep the oil and vinegar from separating and thickens the mixture so it clings to your greens. Honey: Honey also helps emulsify and adds just enough sweetness to balance out the flavors in the Italian salad dressing. Add more or less to taste. Fresh Herbs: The fresh flavors from the Italian herbs add lots of flavor that pairs very well with salad greens and crisp veggies. 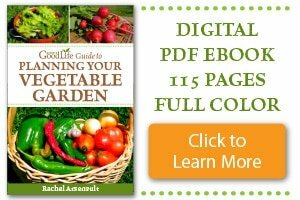 I love using fresh herbs in this recipe because they are abundantly available from the garden during the growing season. However, dried herbs can be substituted. Since dried herbs have a more concentrated flavor, use about a third less than fresh. It doesn’t have to be exact. You can adjust the herbs to your taste. Making your own Italian salad dressing from scratch is really easy. It only takes a few minutes to prepare the ingredients and shake up a jar. Use the recipe below as a guideline and modify it to your own palate by adjusting the herbs, vinegars, and ingredients to your taste. Most vinaigrette can be whipped up moments before serving, but this Italian salad dressing benefits from some additional time to allow the flavors to blend. Consider making it the day before and refrigerating overnight. Step 1: Chop your herbs fine. Fresh herbs add a lot of flavor to this salad dressing recipe. Chop your herbs small so they distribute evenly through your salad dressing. Step 2: Grate the shallot and garlic using the small holes of a box grater. Grating the fresh garlic, and shallots results in a better distribution of flavor throughout the Italian salad dressing. It is also easier and quicker than chopping. Step 3: Finely chop your red pepper: Just one tablespoon of chopped sweet red pepper adds flavor and a nice contrast of color. Feel free to substitute any type of pepper. Step 4: Combine the ingredients in a jar: This is where the magic happens! Add all the ingredients to a half-pint mason jar, cover tightly, and shake. Taste and adjust seasoning if needed. Place the jar in the refrigerator for a few hours to allow the flavors to mingle. Step 5: Remove from the refrigerator 10-minutes before using so the oil can warm to liquid form. Shake well before using, pour on your salad, and toss to coat. This recipe was originally published September 10, 2014. It has been updated with additional information and video. Place all the ingredients in a mason jar and shake vigorously until emulsified. Taste the dressing by dipping a lettuce leaf. Adjust seasoning if needed. Serve immediately or refrigerate. Makes 1 cup. This is a very good Italian dressing. 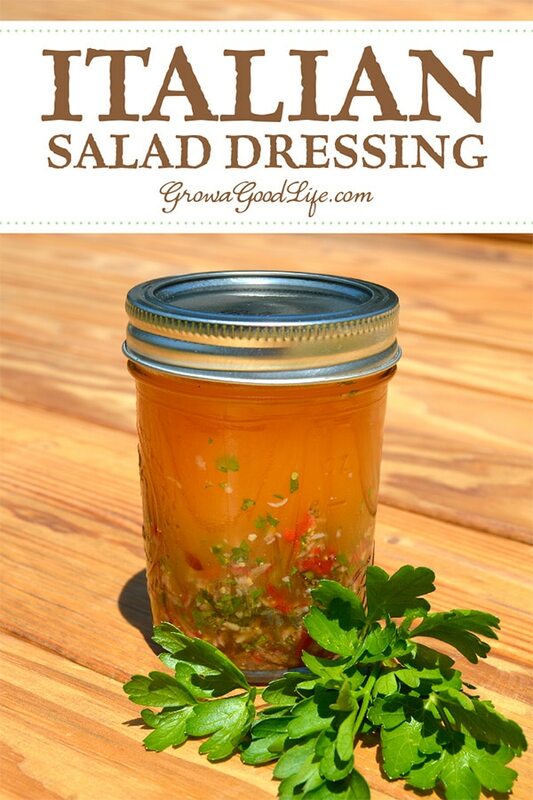 I used it for pasta salad and it is so much better than any store bought dressing for sure! Thank you for the recipe. That looks very good. I’ve been making the creamy salad dressings lately with a base of yogurt and buttermilk. I wonder how the Italian spice mixture would go with my creamy base. Probably pretty good. Looks delicious. I also grew up on a simple olive oil vinaigrette and to this day that is the type of dressing that I prefer and use most often. I’ve never added herbs to it thought, so I may give that a try this summer.